′My Sassy Girl′ to be made into TV drama? Eleven years after My Sassy Girl first hit theaters and went on to be a major box office hit, a television drama remake has now been green-lit. Television drama production agency RamongRaein is pursuing a TV drama remake of the popular romantic comedy movie. The agency had originally begun taking scripts early this year but was unable to settle on a script and writer until recently. It has since, settled on a potential script and is now targeting a premiere of the drama sometime in the latter half of 2013. A source close to the production shared the agency is planning a 16-episode run and casting had yet to begun. The original movie catapulted its main stars, Jun Ji Hyun and Cha Tae Hyun, to nationwide stardom. As such, many are wondering who will fill their big shoes and whether they will be able to find the same level of success as the original stars. Lee Byung-heon received ‘Star of the Year’ at CineAsia. On 13th (local time), CineAsia 2012 Award took place in Hong Kong, and Lee Byung-heon won ‘Star of the Year’ award. It’s first time for a Korean actor to win the award after Rain won it in 2007 with Tang Wei. Lee Byung-heon, who won ‘Star of the Year’ award, mentioned about the pressure and loneliness that he had to fight through, and talked about his future plan. Lee Byung Hun and Jo Min Su won the award for Best Actor and Best Actress at the 49th Daejong Film Awards, which was held on October 30th in Yeoido. Lee Byung Hun also had other reasons to celebrate, as his film Masquerade won 15 other awards. 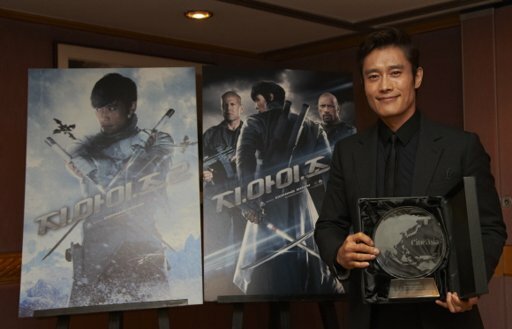 At the ceremony, Lee Byung Hun won two awards, the Best Actor Award and Popularity Award. His Best Actor Award was his first at the Daejong Film Awards, making it an even more memorable day for him. He, however, wasn′t able to attend the ceremony in person as he was in London shooting his film Red 2. The Best Actress Award went to Jo Min Su of Pieta, the film that won the Leone D′Oro at the 69th Venice Film Festival. With this, she won the award she wasn′t able to despite getting the most points from the judges at the Venice Film Festival, due to the ceremony′s rules that one film can′t win in more than one area. Lee Da Hae has won the best actress award for her acting in China at the “LETV Movie and Drama Awards” held on October 9th in Shanghai. Lee Da Hae has gained enormous popularity and recognition for her work in the chinese drama Love Actually. Lee Da Hae was nominated in the category of best actress in a television drama and was announced as the winner during the evening’s ceremony. Coming on stage to receive her award, Lee Da Hae thanked all her fans in fluent Mandarin and received a passionate response from the crowd. It’s official. As expected, “The Thieves” has become the most-watched Korean film with a whopping 13 million plus viewers having watched the flick in the last 70-odd days. Show Box, the film’s distributor announced on Oct. 2 that the film chalked up some 13,020,393 views, and usurped the place of “The Host” which was released in 2006 and amassed 13,019,740 views in 106 days. The current hit movie starring Kim Soo-hyun, Jun Ji-hyun and Kim Hye-su was No. 2 as of Sept. 3. Having garnered 12.31 million views at the time. After its release on July 25, “Thieves” began breaking records across the board. Just three days after the film opened, more than a million people had watched it; that number doubled the following day and tripled by day six. 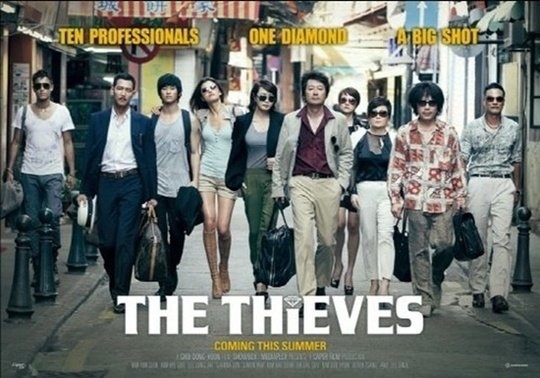 Directed by Choe Dong-hoon, the film is about a heist carried out by 10 Korean and Chinese thieves stealing a $20 million diamond necklace at a casino in Macau. To date, the most-watched film of all time in Korea is “Avatar” with some 13,624,328 views. It should be interesting to see if the Korean action-drama can usurp the place of the Hollywood blockbuster. You are currently browsing the archives for the Korean Movies category.